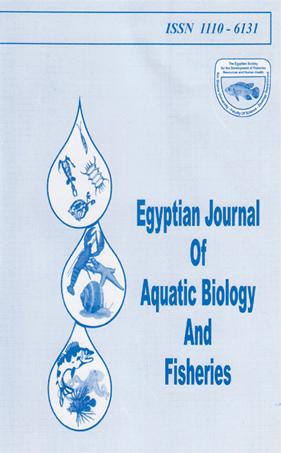 RESPONSE OF NILE TILAPIA TO DIETARY ANIMAL PROTEIN LEVEL AND POULTRY MANURE FERTILIZER LEVEL m EARTHEN FONBS. 2Anirn. Prod. Dspt., Fac. Agric., Cairo Univ. Fayoum Branch. Fayoum. ARE. NTile tilapia, Qrvochromis nitonc-ix juveniles averaging about 6.02 Ig in weight, r^re assigned in. eaithen ponds, one teddan(fdn) each. Fish weir: stocked at a rate of 5500/fdn. The v/ork was conducted at cc ■ iimercial fish ih :a at Fayoum Governorate for 22 wk started at Marc in, 15. Treatments were arranged factorally to contain two animal protein levels (24 and 35%) in the diet and two fertilizer levels in ponds (30 and 60 kg N from poultry manure / fdn. ), forming four treatments. Diets were isomtrogenous and isocaloric. Data on diets chemical composition, fish growth performance feed utilization and fish body composition as well as a simple economic evaluation were illustrated. The main effects for animal protein level (AP) and poultry manure (PM) levels showed insignificant differences in growth performance, feed utilization and body chemical composition. The simple effects showed significant differences. Generally, growth performance, feed utilization and body composition were positively affected by increasing AP and PM in the diet, even though the diet continued was the lower animal protein (24%), and the higher fertilization rate (60 kg N/ fdn) showed better revenue and revenue/ total production costs (%).